There are a multitude of irritations and imperfections that can plague your skin. Everything from age spots to stretch marks to large pores and pigment irregularities reduce a woman’s and man’s youthful appearance. But these things don’t reduce you. You are still the intelligent, vibrant, exciting, and hard working person you always were. So the question on many people’s minds is – How can I make my outside match my inside? - Microdermabrasion is one way to answer that question in a non-invasive, non-surgical, non-painful way. After all, this incredible treatment isn’t just for movie stars anymore. In fact, the Microdermabrasion Edgewater and Hoboken women and men love is available right here in New Jersey. Why should I go to Edgewater MedSpa for Microdermabrasion? Why is it better there? While salon-grade microdermabrasion can be performed at home, Edgewater and Hoboken clients have now know the secret to the “medical-grade” microdermabrasion being performed at our centers. Combined with professional-grade cosmeceuticals by Glymed and Procyte, we are able to give you the assurance of the proper customized treatment and products with the comfort and convenience of a relaxing, private environment for the microdermabrasion procedure. Dr. T.G. Khan, medical director of the Edgewater and Hoboken Cosmetic & Laser Centers is a specialist in surgical as well as non-surgical cosmetic procedures. In his effort to always provide his patients with the least invasive and least painful alternative that will restore their youthful appearance, he has included his medical-grade microdermabrasion as one of the many treatment modalities available. Dr. T.G. 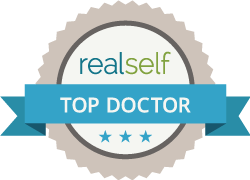 Khan is a board-certified physician with extensive surgical training as well as thorough knowledge of innumerable non-surgical procedures, including cosmetic injections and aesthetic laser treatments. Under his direction, he and his staff have helped many clients enjoy the pleasure of looking great, whether it is for a special occasion like a wedding or anniversary, or just for the sake of maintaining glowing skin throughout the seasons. Call Edgewater and Hoboken Cosmetic & Laser Centers today at 201.313.8899 to set up an initial consultation. You and your skin will be happy you called.